Our early wake up call was becoming routine. The roosters usually start crowing around 5 am but we try to sleep in until 6. 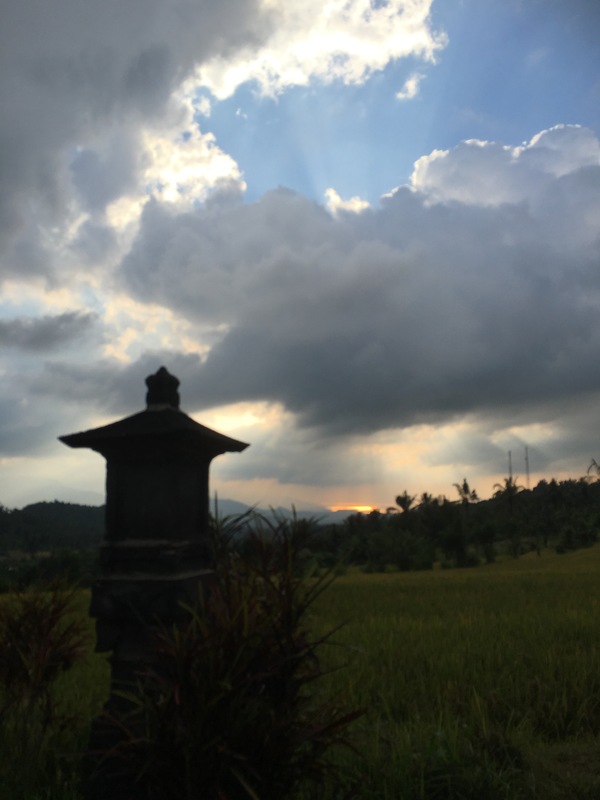 We greet the dawn over the rice fields and start the water kettle on the stove in the outdoor kitchen at Sanda House. Our typical breakfast consists of oatmeal and coffee packets brought from home. Katy bought some strawberries which are grown in the local area so today we have a special treat. Our drivers arrive at 7 am and we try to be at the first school by 730. Today we’re traveling to Asah Gobleg where 48 kindergartners are waiting for us. When we arrive we’re led into a covered outdoor badminton court where we’ll be working with the students. Their classrooms are being renovated so they’re holding school outdoors for a few more weeks. It’s a big group but we have the system well established and our team knows their jobs well. We introduce ourselves as a group and then split into two teams – one to lead the warm-up songs and the other to prepare the craft project. After the songs the children gather on the outdoor stage and we quickly distribute the supplies. The kids are always so enthusiastic and well-behaved that it’s easy to forget that they started school for the first time a few weeks ago. A lot of credit goes to their teachers who are experts in 5-year old crowd control. Our second stop of the day is at Wanagiri, another large school with 50 kindergartners in 3 classes. Most kindergartens are stand-alone schools that serve a local village but Wanagiri is attached to a larger primary school with grades 1-6. It’s fun to interact a bit with the older students who speak quite a bit of English since they start learning it in the 4th grade. After school ends, we say goodby to each student. Our team lines up by the door and each student takes our hand and touches it to their forehead as a sign of respect and thanks. This farewell is always an emotional time for our group. We have time for a wrap-up meeting with Iluh before leaving Sanda House. 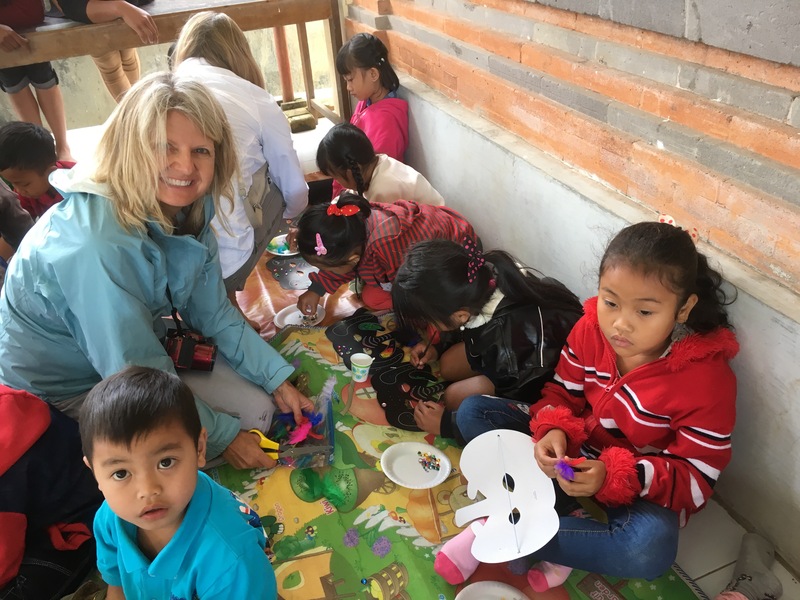 Each year we plan a few days of rest and reflection after working in the schools. 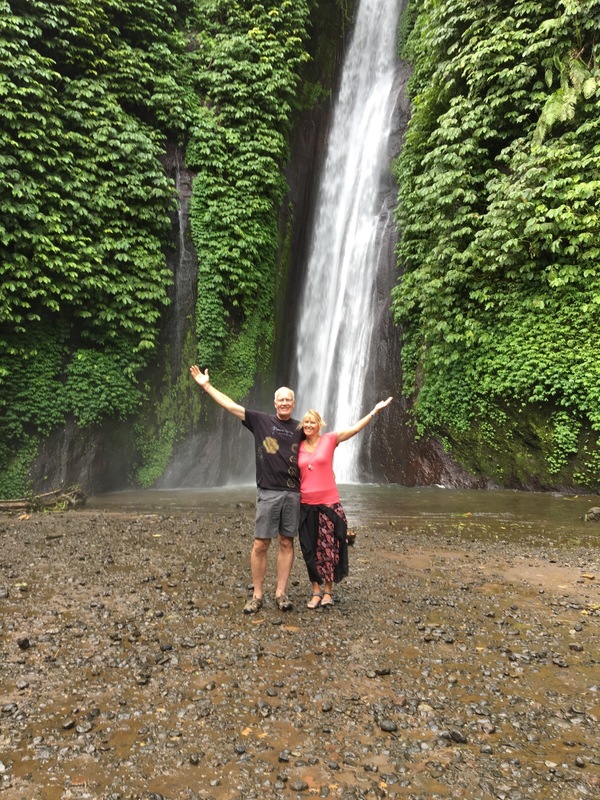 This year we’re heading to Siririt on the less developed north coast of Bali. The drive is only an hour as we say goodby to the the beautiful mountains of Munduk. Once again we’re up at 6 am for our day working in the schools. Today we’re splitting up the team. Sharon is going to Gobleg to observe the entire school day and the rest of our group is heading off to the school in Ringdikit. We don’t get to visit this school each year because it’s far off the beaten path but it’s one of our favorites for a variety of reasons. First, it’s Iluh’s home village so it’s great to travel there with her. It’s also the first (and only so far) school that was built through the generous donations of our Heart, Mind & Soul sponsors. The school only has eleven students because the village is so small. When we were last there several years ago, the building was a concrete frame with temporary plywood walls. 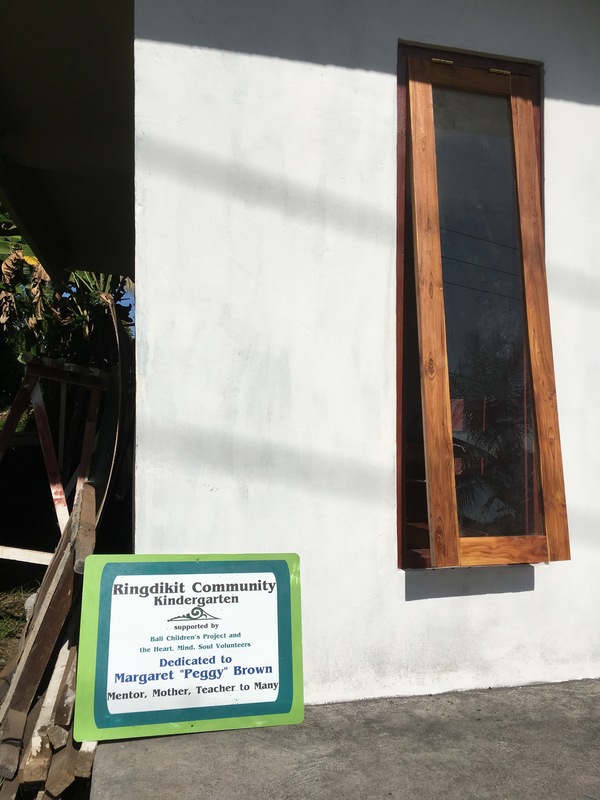 After supporting the school with donations for two years, the local government took over and completed the construction with a community building on the same site. On our last visit we dedicated the building to Peggy Brown, who was Kathryn’s first teacher aide in 1983. Peggy was a mentor to Kathryn and many other teachers at Saints Simon and Jude School in Huntington Beach, CA. 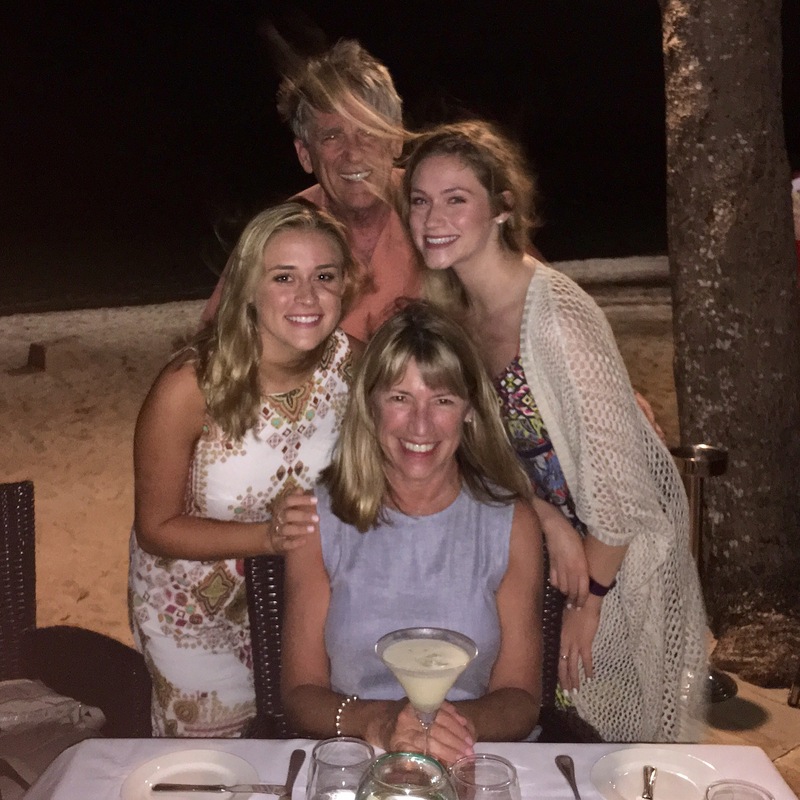 She continues to inspire us each day as she struggles with early onset Alzheimer’s disease. 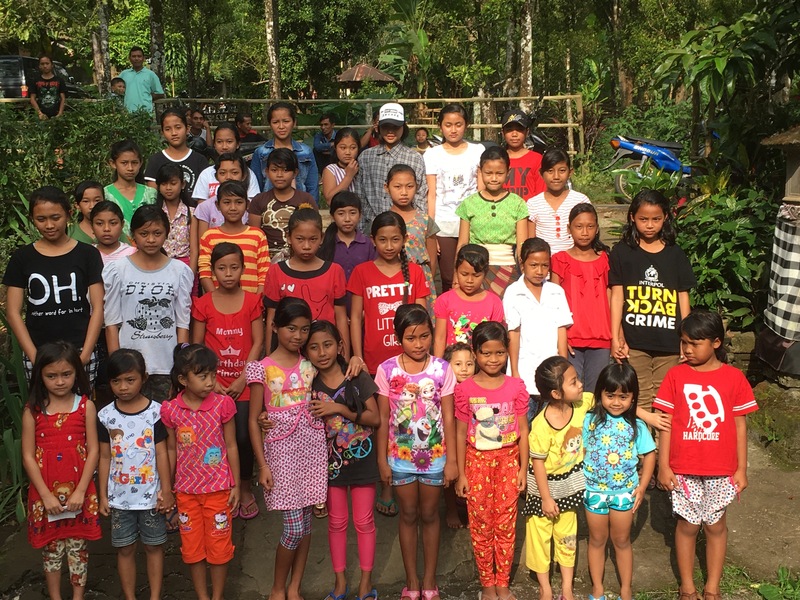 After visiting Ringdikit, we hiked to our favorite waterfall and visited the home of our sponsored student, Ni Luh. Ni Luh currently attends vocational school in a nearby city so we enjoyed the company of her parents, siblings and other family members in the area. It was a unique experience to see how simply they lived in the jungle. Most of the family earn their living as clove pickers. Their daughter’s study of accounting will someday enhance the entire family’s standard of living. Sharon spent the afternoon helping with an English class in Gobleg and didn’t return until late in the day. We ended the day with Iluh and her husband Gede at a quiet dinner. We were up at 6 am this morning to organize the supplies for our first day in the schools. Accommodations in Sanda House are pretty basic – we have beds that consist on foam blocks over a rope support system. There’s also a basic kitchen with sink, propane stove and refrigerator, as well as a bathroom with a western-style toilet and cold shower. 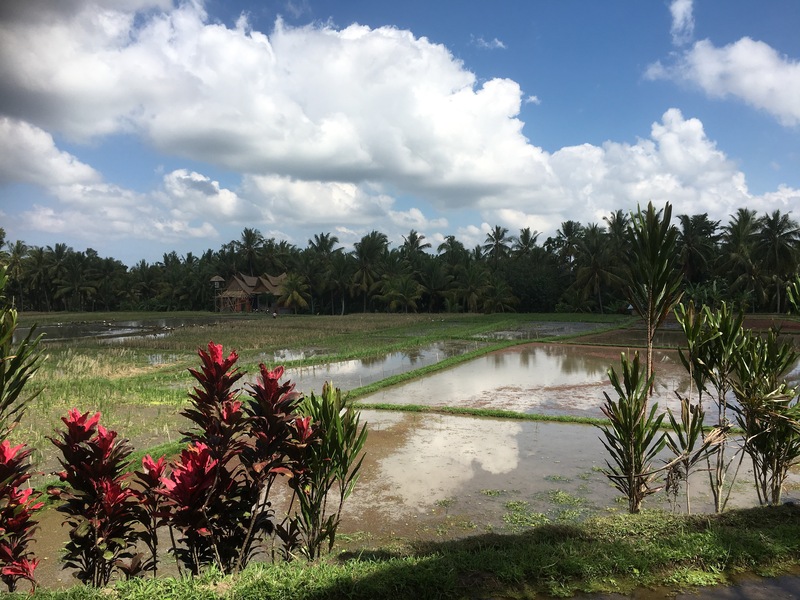 The setting is spectacular, however – completely surrounded by rice fields with a distant view of the Bali sea. 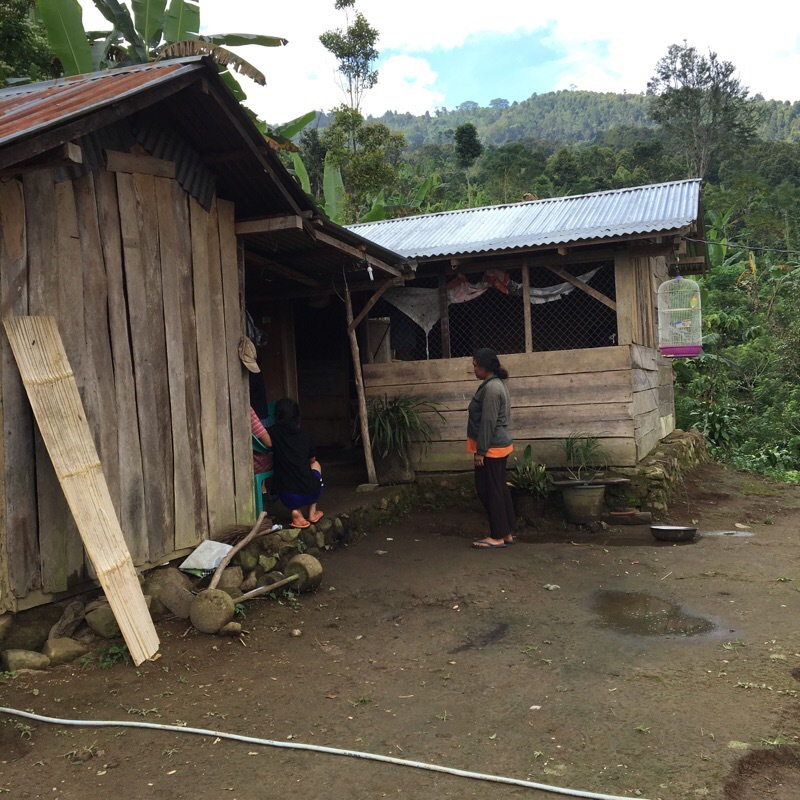 There’s a few families who live in simple huts nearby that greet his warmly as they pass on their way to work or school. Our local drivers arrive at 7 am and we’re soon on the way to our first school of the day in Munduk village. 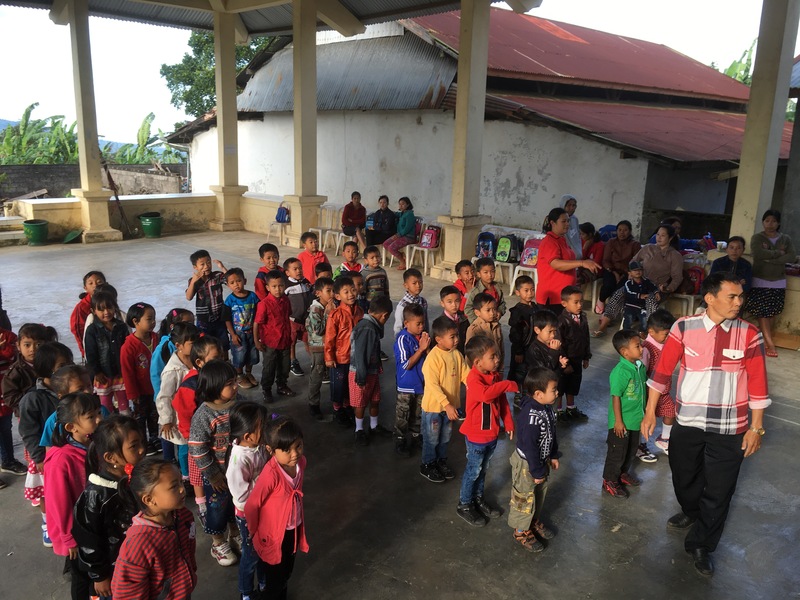 We arrive early so we can watch these children arrive and witness their morning ritual of prayer, stretching and warmup, and a variety of welcome songs for us. 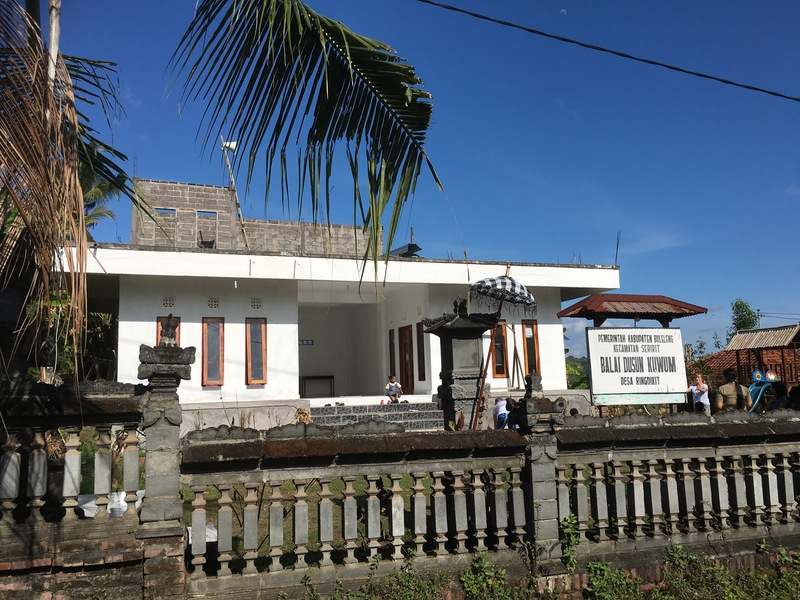 These schools are public but they integrate Hinduism into their program as it is the official Balinese religion. ​​Our typical time at these school starts with an introduction about ourselves and where we come from, demonstrated on an inflatable globe that we bring with us. After that, we sing and dance with some all-time favorites, the Chicken Dance and one that’s called Bear Hunt. The kids really enjoy these icebreakers and sometimes it’s hard settling them down afterward. 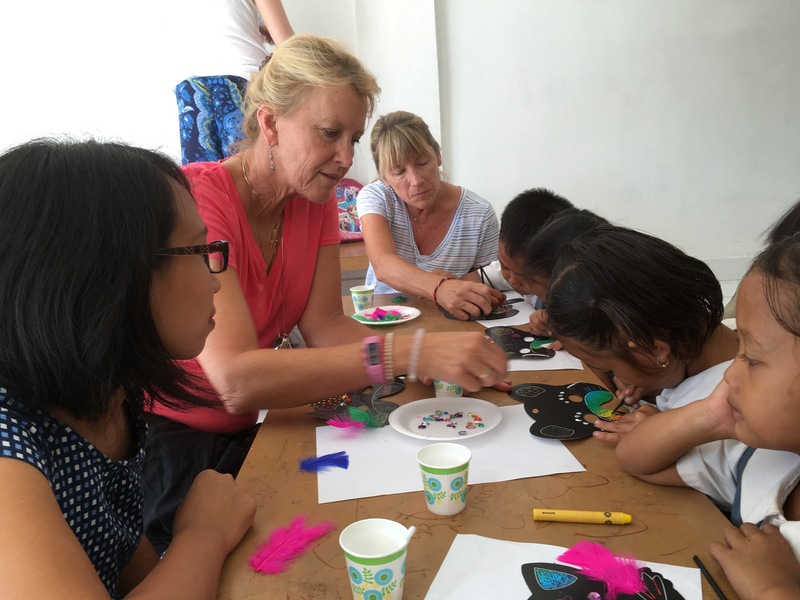 Next we do a craft project with the students. This year it’s a mask on which you scratch off the coating with a stylus to reveal the colors underneath. The kids add some feathers and beads and their creations are complete. After the project is finished we pack up quickly, line up for the children to say thanks and jump in our cars to head to the next school. When we try to visit two schools a day and kindergarten class ends at 1000, we don’t have time to linger. 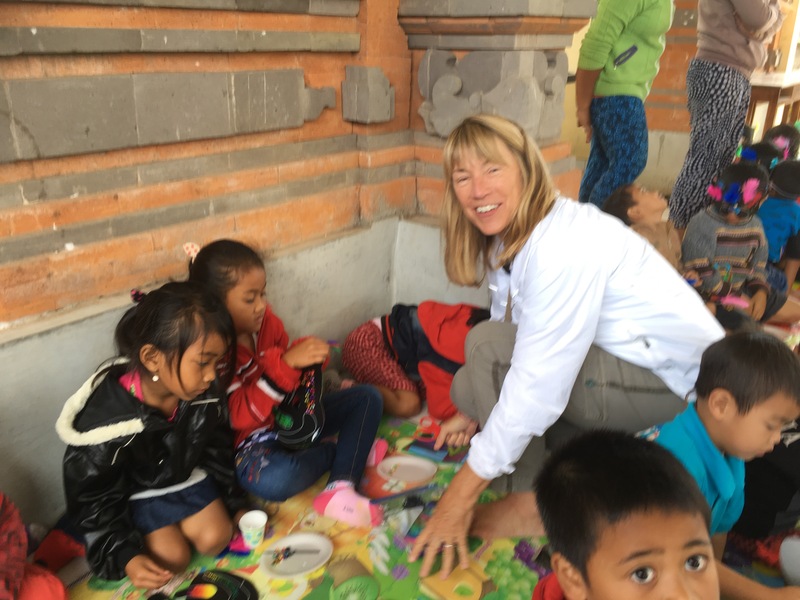 Our next stop in Gesing follows the same program as the first school. It’s interesting to see the range of schools that we support. Some have nice facilities and good organization while others are less so. Our objective is to raise the level of the lower schools so that all the kids get the same level of education. After Gesing our work is not yet done. At 1100 we have invited the teachers of each school to join us for our training program led by Sharon. 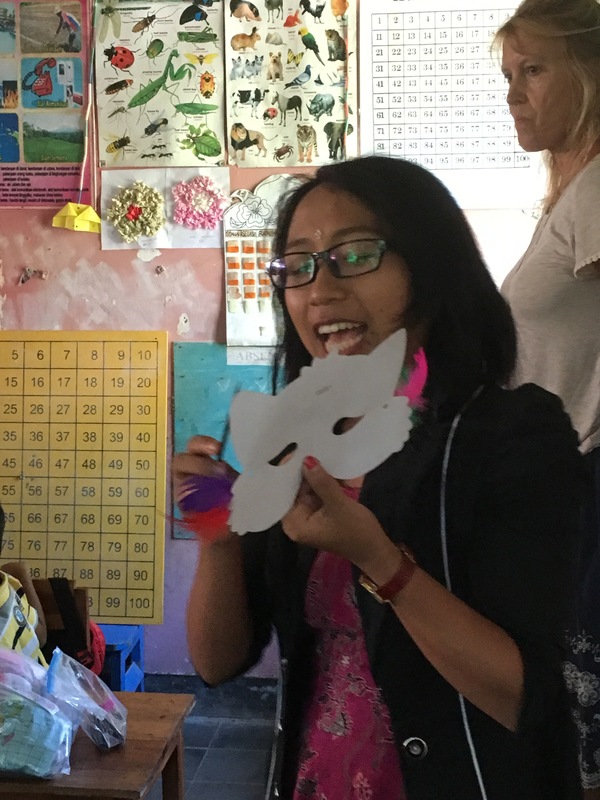 Our friend Nyoman hosts the training at this B&B nearby, and the teachers really enjoy Sharon’s presentation and the supplies we provide for their classrooms. The teachers stay until 1 pm and then we have lunch. Around 3 pm we meet with Iluh to discuss her ideas for improvements needed at each school. We’re blessed by several donors who contribute each year for this purpose. In the past, we’ve provided playground equipment, cabinets and lockers, and even a building for a new school. As our students have grown, we also need ways to fund their education in high school or vocational school. Not all of our sponsors can afford this added expense which can add $200 or more to their annual donation. Luckily, we have several sponsors who have made up the difference so far. After the meeting we have dinner and walk home from the restaurant, serenaded by the chorus of dogs that occupy every home in Bali. 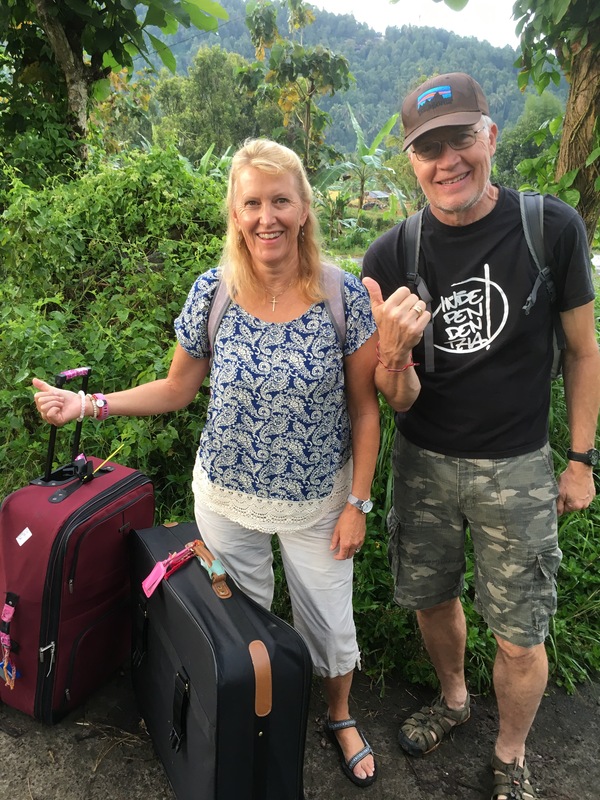 Leaving Ubud is always a little hectic because we’re trying to move 7 people and 14 big pieces of luggage into two rather small vehicles. 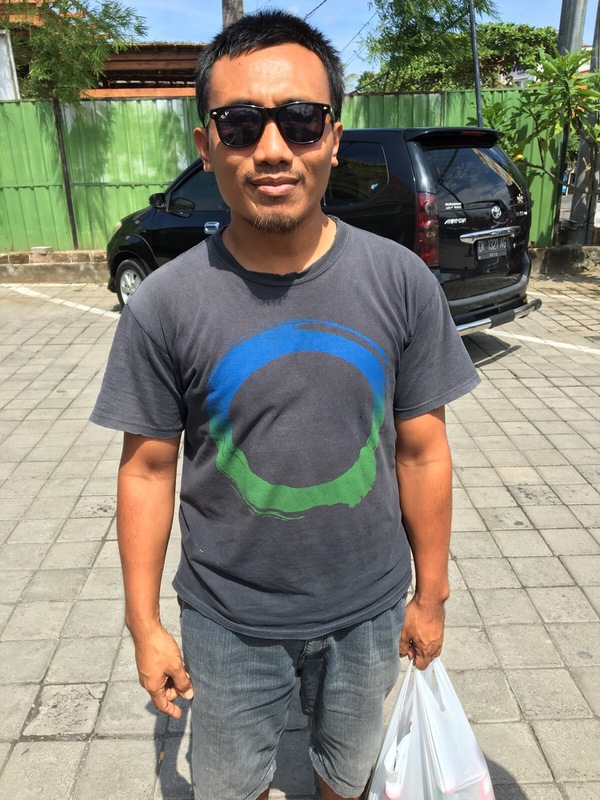 Luckily our driver/fixer Wayan is a master of packing and soon we’re on our way up the mountain to Munduk. 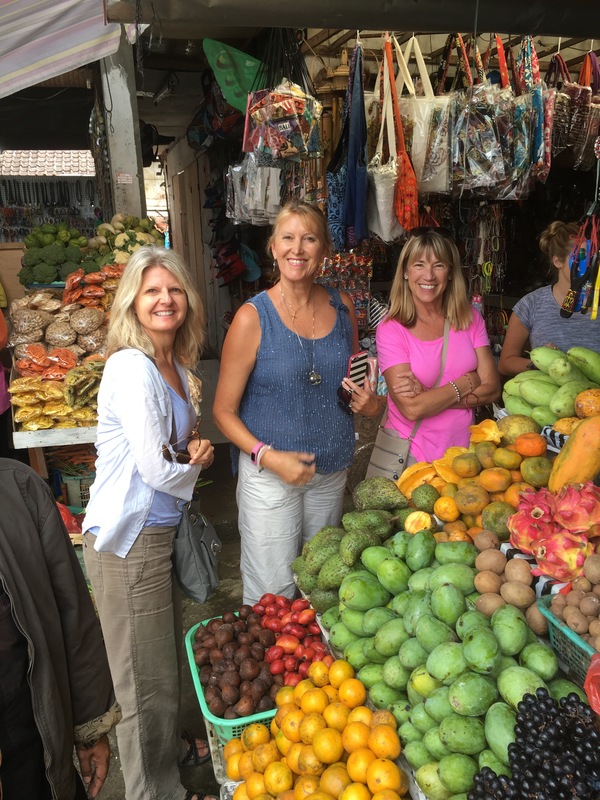 Along the way, we stopped at Bedugal to visit the market, pick up some supplies and have lunch at the temple on Lake Beratan. The sponsor student party starts at 3 pm so we don’t have too much time to linger. Just a quick stop at Sanda House (where we’ll stay while working on the schools) and off again to Iluh’s house for the party. We’re a bit late when we arrive and the compound is already packed with students and their parents. Since we sponsor more students each year, the party grows accordingly. This year we did more advance promotion and the turnout is almost 100%. It looks like about 200 people including family members. 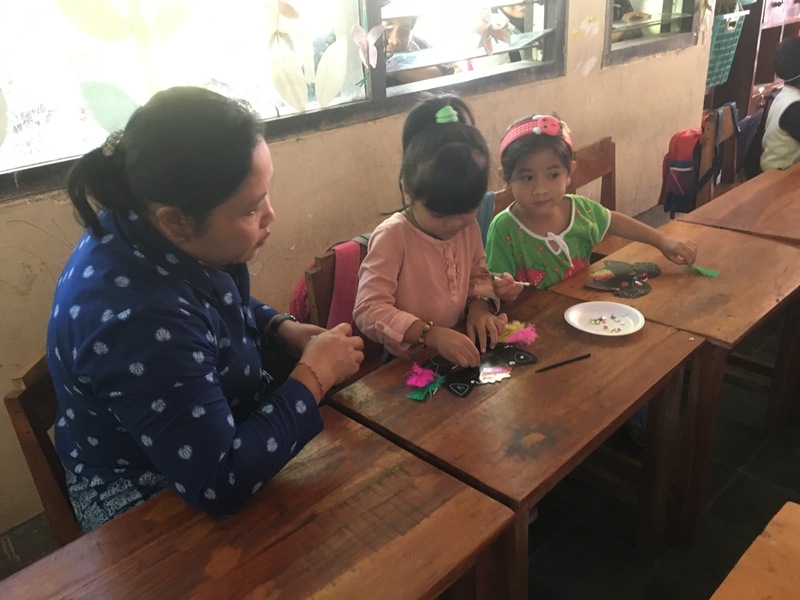 In yesterday’s blog I mentioned the activities at the party – cards prepared by the students for their sponsors, backpack and supplies handed out, and photos taken. 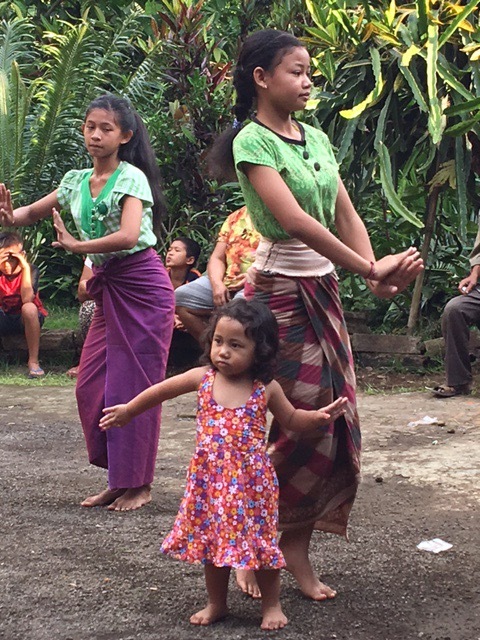 After the work is done, we enjoy a traditional dance presentation by some of the students. Ilu’s two-year-old daughter participated and you can tell she’s got the makings of a star. ​​​The dance is followed by a few games. The first is a rice cake eating contest that everyone really enjoys. It’s followed by a water balloon toss that is also a tradition at these parties. It’s finally around 6 pm and getting dark when everything finally winds down. It’s a great feeling when we see four empty bags and know we’ve made a small improvement in the lives of 66 students and their families. There’s just time for a quick dinner before heading back to Sanda House for bed. Tomorrow we’ll be up at 6 am to start our work in the schools. 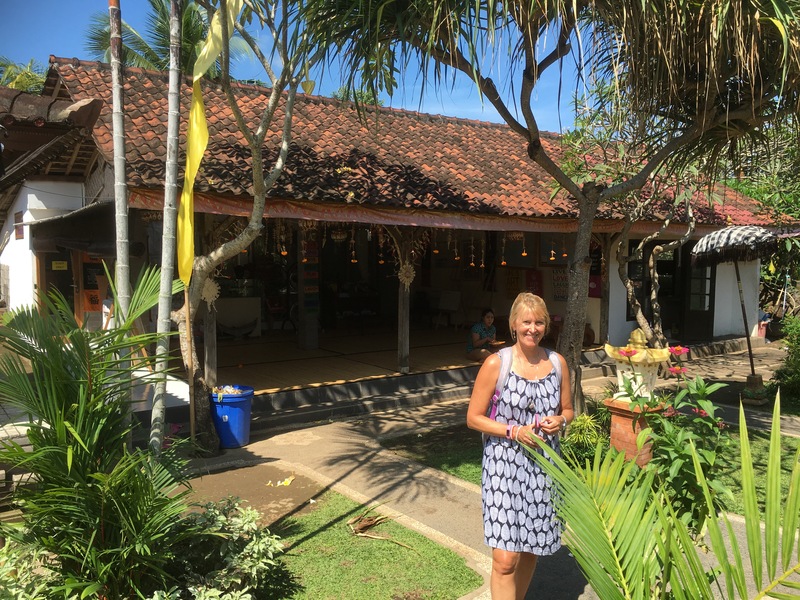 An important part of our service trip to Bali is building the working relationship within our team and immersing ourselves in the local culture before we visit the schools. 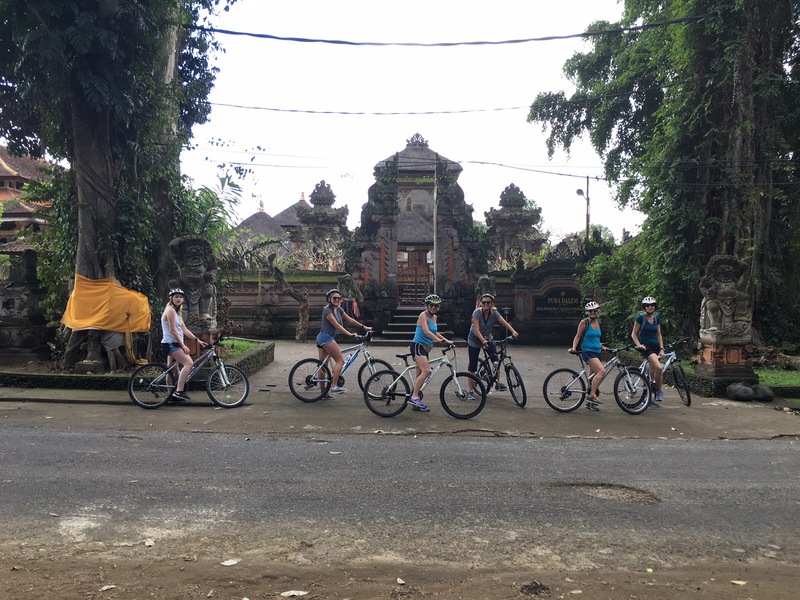 Today our group toured small villages in the Ubud area on bicycles. Getting off the busy roads with their constraint drone of motorbikes is a great way to appreciate the true beauty and tranquility of the island. 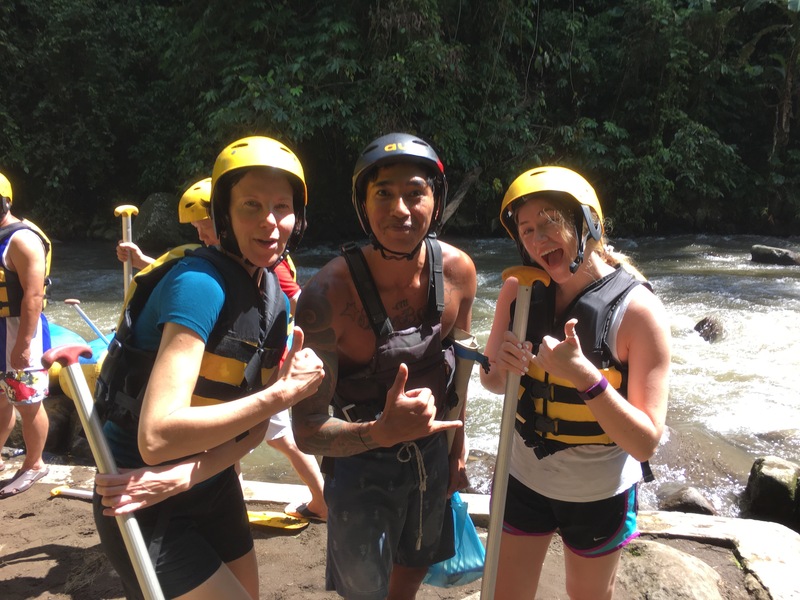 After the bike ride, our team continued their adventure on a rafting trip down one of the many small rivers which run from the volcanoes to the sea. In the afternoon we made all of the last minute arrangements for the sponsored student’s party at Iluh’s house in Munduk. With 66 students (we added 3 more today! ), their parents and random siblings, the party has the flavor of a military operation. Each student writes a note to their sponsor, receives their backpack and has their photo taken. Luckily we have 8 members of our team so everyone has an assignment. 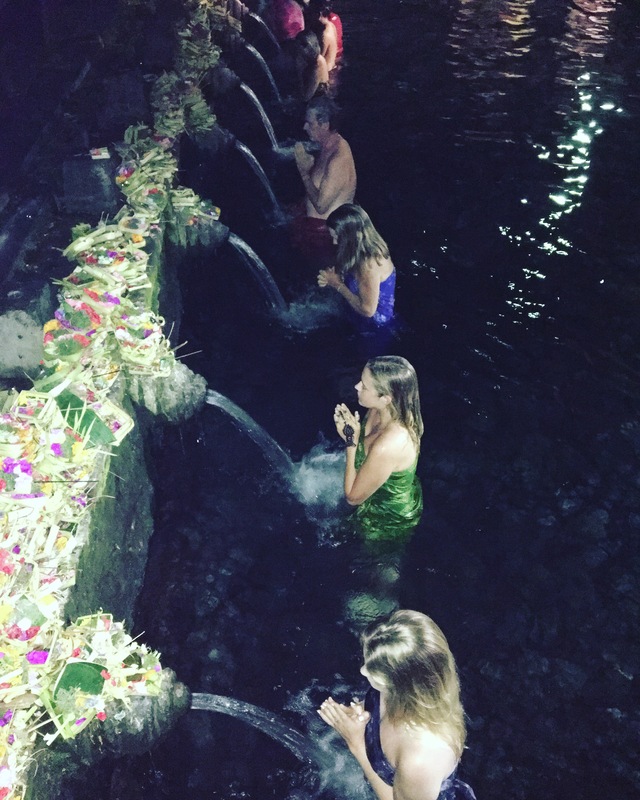 In the evening, we went to the water temple for the highlight of our stay in Ubud. This is the first time we’ve been to the temple after dark and the experience is really different. We start the purification rite by changing into sarongs which are required to enter the temple compound. Our friend Wayan leads us through the ritual, first by entering the pool where the sacred water flows out of decorative spouts. At each spout we splash water on our face three times before immersing ourselves completely and saying a prayer. 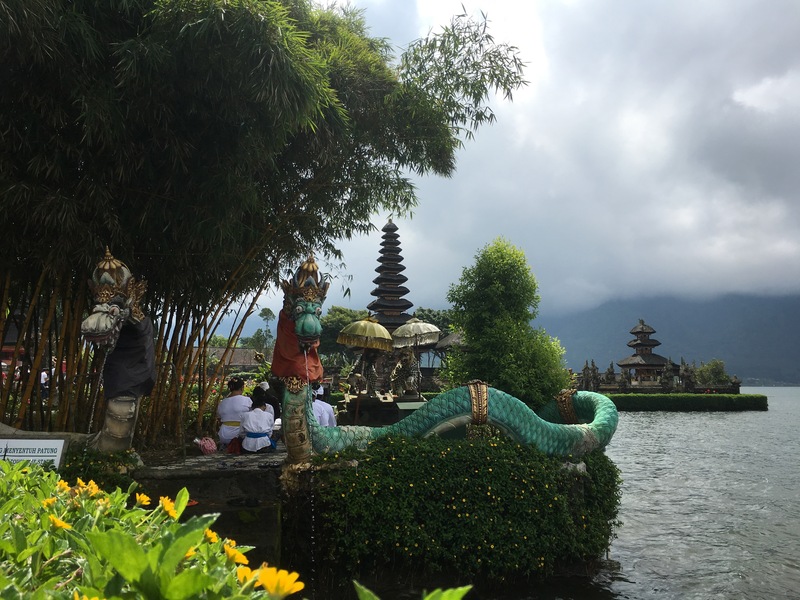 Even though we’re at a Balinese Hindu temple, the similarities to a Christian sacrament are remarkable. When we emerge from the pool, we take small offerings into the inner temple area and sit before one of the priests. The priest leads us in prayer and then offers us each holy water to drink and sprinkle on our heads. After the prayer ceremony, we quietly leave the temple grounds. It’s been a long day but we grab some dinner and enjoy the quiet walk back to the villa. Tomorrow will be a day in transit as we head up to the mountains. Mike arrived around dinner last night so now our group is finally complete. The first order of business today is to meet with Iluh, our local site coordinator. 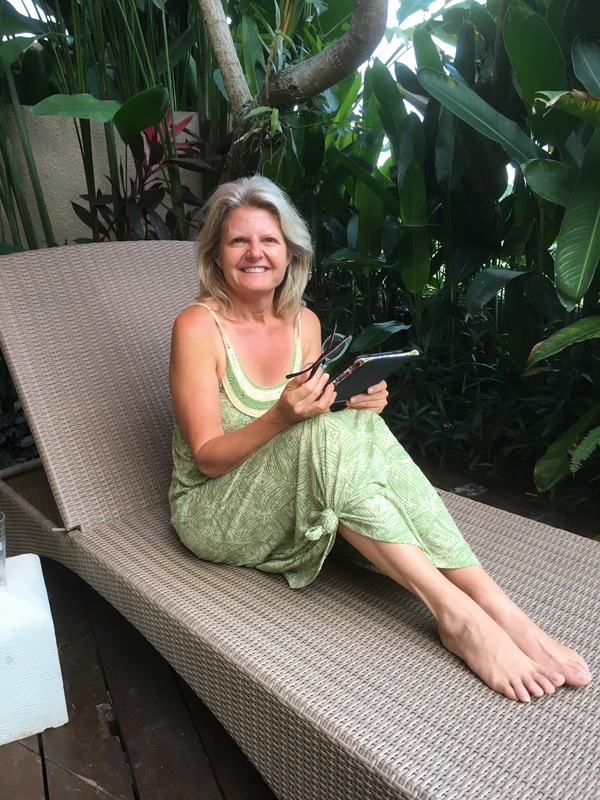 Over the past few years, we realized that meeting with Iluh in Ubud a few days before we arrived in Munduk made a huge difference in our readiness to work in the schools. 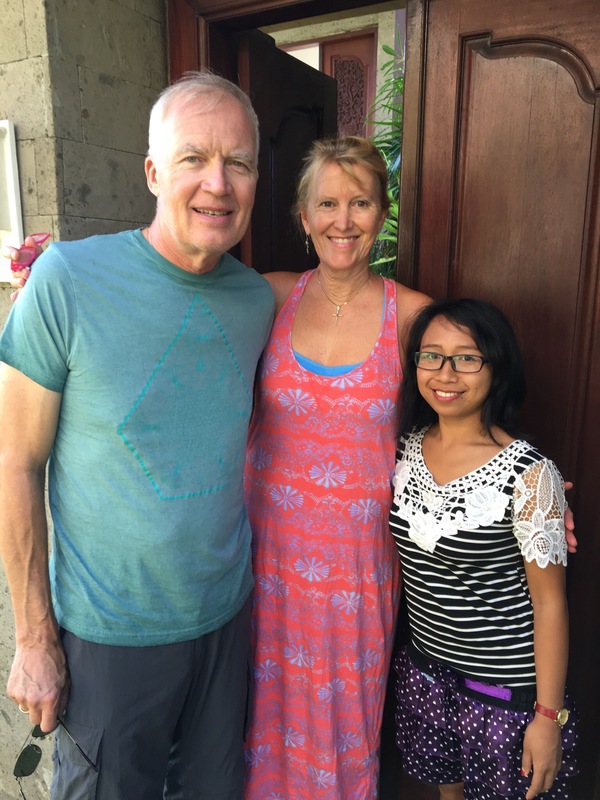 Plus we get to see our Bali sister that much sooner and catch up on her activities of the past year. During the meeting we made all the final arrangements for the service part of our trip: last minute details about the sponsored child party, transportation to the schools and adding a few more students to our sponsor list (more about that in tomorrow’s post). After we said goodbye to Iluh we went to tour the Education Rocks www.edrocks.org compound and meet with Eke, the non-profit’s leader in Ubud. 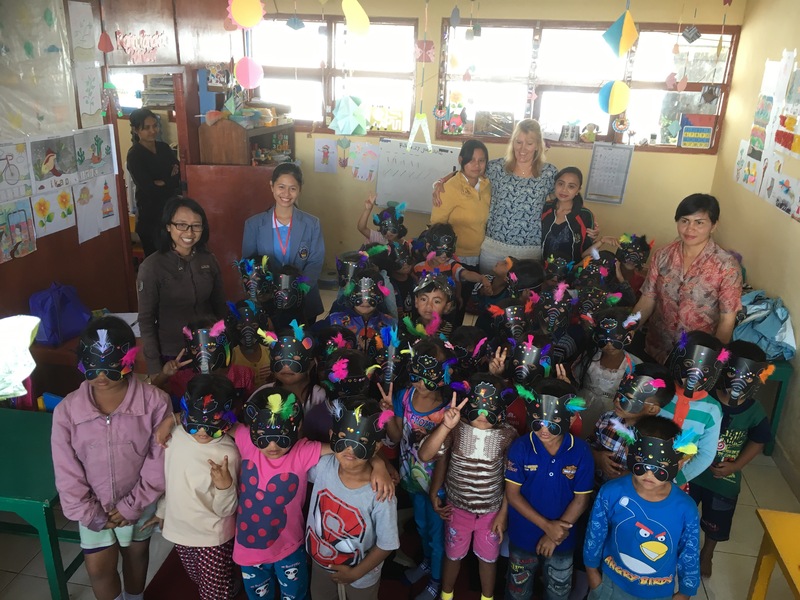 Education Rocks is an organization that pairs children in the US with a child in Bali to support their education and build cross-cultural ties. Since starting in 2008, their work has really grown and now supports over 300 students. After the meeting we arranged a healing massage for Michael’s sore back. He hurt it packing our supplies for the trip. 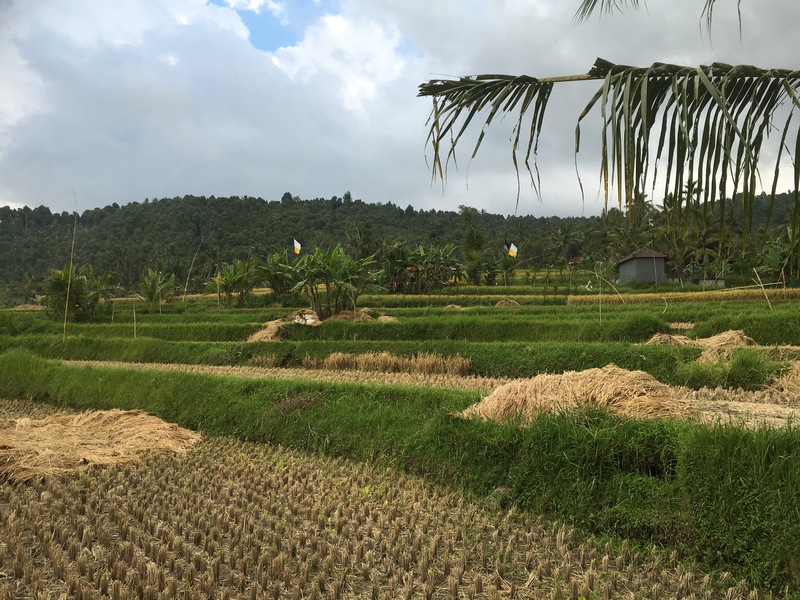 The day ended with some quiet time for dinner and a stroll back to our villa in the rice fields. Tomorrow will be an early start for our team as we go for a bike ride and then whitewater rafting.